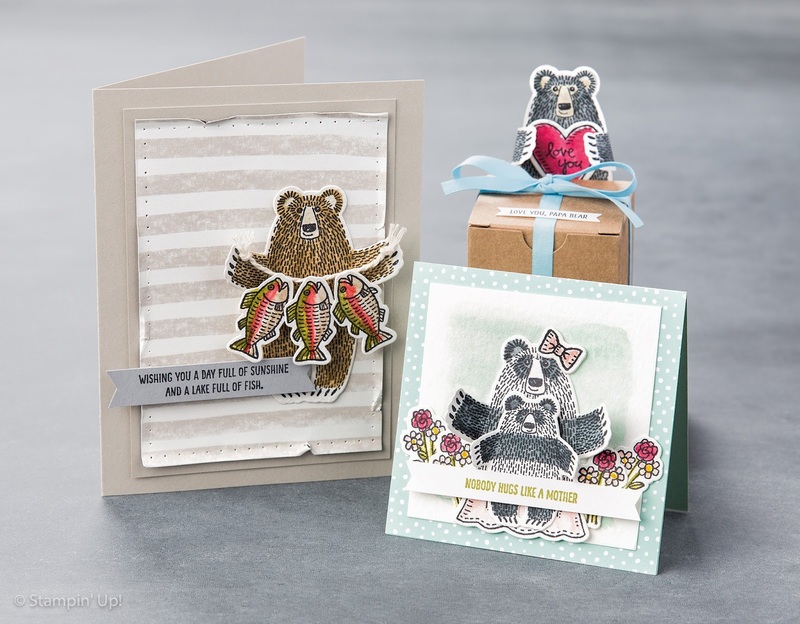 Each week the Crew members will take inspiration from a section or theme of the current Stampin' Up Catalogues to create their projects. The acronym "CASE" stands for "Copy And Share Everything" or, as I prefer, "Copy And Selectively Edit". This week the CTC Crew are choosing to create a Valentine's project, inspired by the Occasions, Sale-A-Bration &/or Annual Stampin' Up! catalogues. 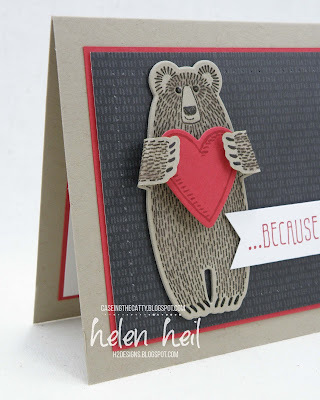 To get the curled arms on the bear, I first stamped & die-cut the bear & then re-stamped the bear on the reverse side of the die-cut. To give him some variation in colour, I dragged a blender pen over the early espresso stamped image, to make the colour bleed. I've added the tiniest amount of crystal effects to his eyes, nose & claws. 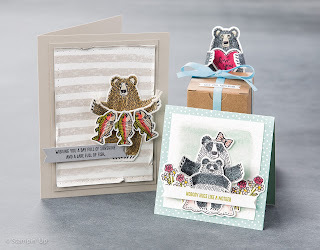 To make him sit off the panel slightly, I have die-cut two other bears, chopped off their arms completely & then layered them under the feature bear. The heart is raised up on two layers of dimensionals & the sentiment on one. The heart also comes from the the Bear Hugs set (inked with a marker to exclude the sentiment) & the awesome DSP is from the Botanical Gardens suite. 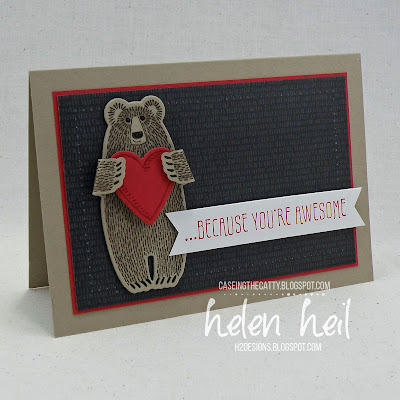 If you are feeling inspired, we would love you to CASE a Valentine inspired project from any of the current Stampin' Up! catalogues & link it up in the gallery on the CTC post (click on the icon below to join the fun!) At the end of each month, the Crew will choose a Winner!